Planet Bike’s Full bike fenders are a commuter classic. Their clean lines and rugged construction provide great protection from rain, road grit and other tire spray. Max tire size: 700c x 35mm or 27" x 1.25"
If you have any questions about this product by Planet Bike, contact us by completing and submitting the form below. If you are looking for a specif part number, please include it with your message. 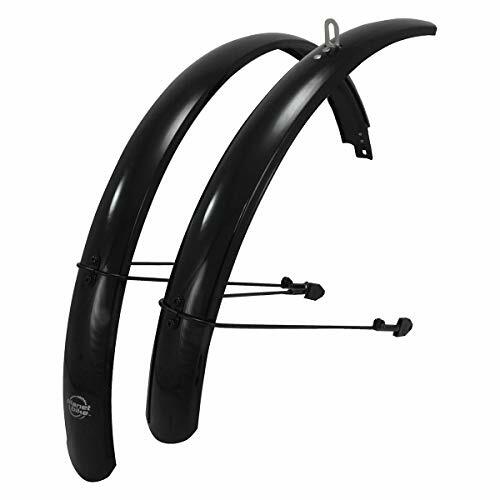 SKS-Germany 11363 Fatboard Bicycle Fender Set for Fat Bikes, 5.5"